Happy Halloween! My list of a Thousand Things definitely includes dressing up and celebrating Halloween in weird and wonderful ways. To start the day of candy I felt it would be good to pack in a lot of fresh fruit and antioxidants for my two trick or treaters – and for me. A simple ‘blood’ smoothie of frozen wild blueberries, strawberries, raspberries and bananas was the answer. Quickly blended in the Vitamix with a little water to get it to the right blood curdling consistency. 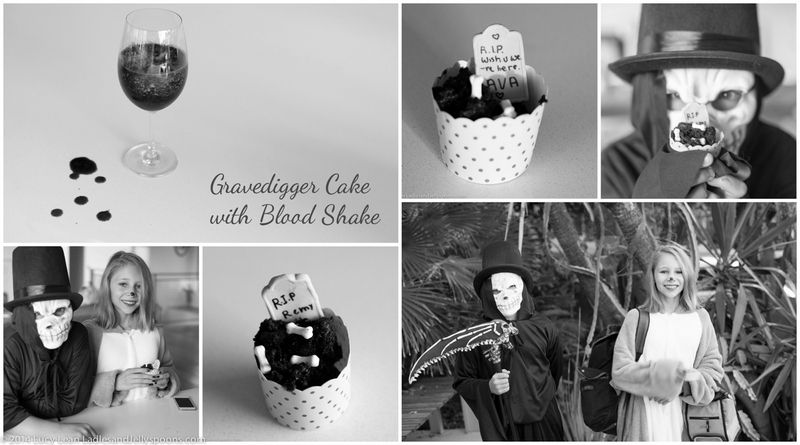 And then so as not to get labeled as the mean and healthy mom, I served cake for breakfast – or more precisely Gravediggers cakes. 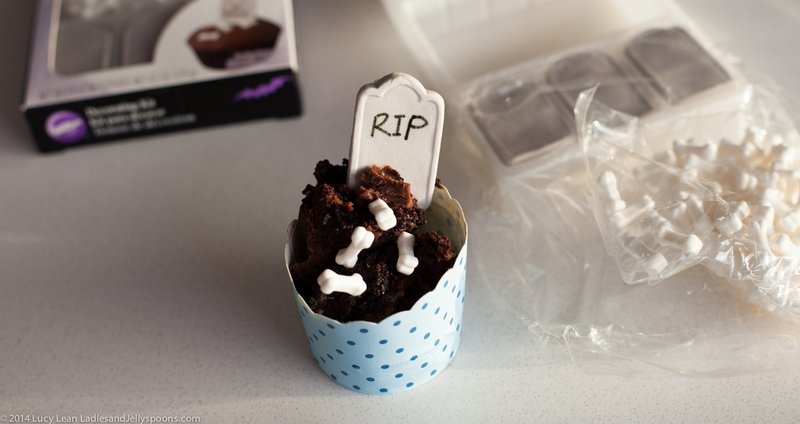 I scooped the left over chocolate caramel cake from Republique, my birthday cake, into cardboard cases and froze them ready for Halloween. Topped with these bones and gravestones from Wilton they make the perfect showstoppers – plus they are super easy and so delicious – well the cake part is – not sure you want to eat the sugar bones! 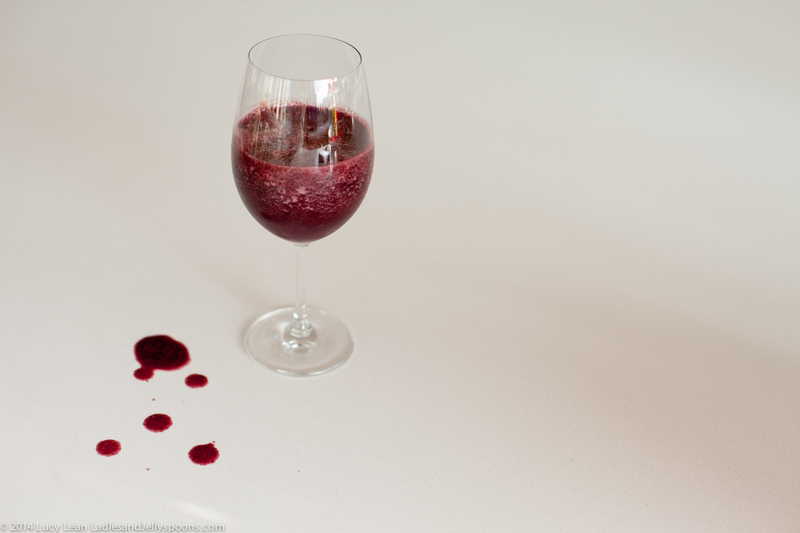 For the party later I feel a little more blood might be needed – a quick fix with some red food coloring dotted onto the white bones. 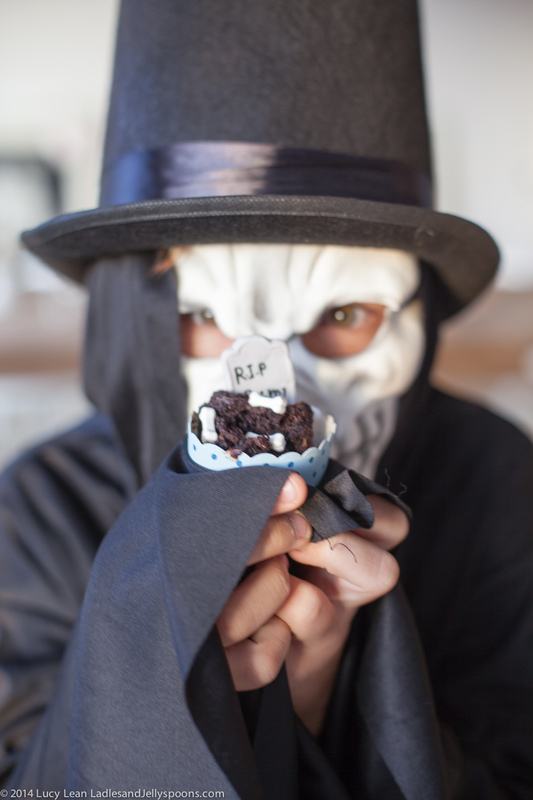 The kit comes with a black pen and the kids had fun decorating their headstones… RIP Remy! 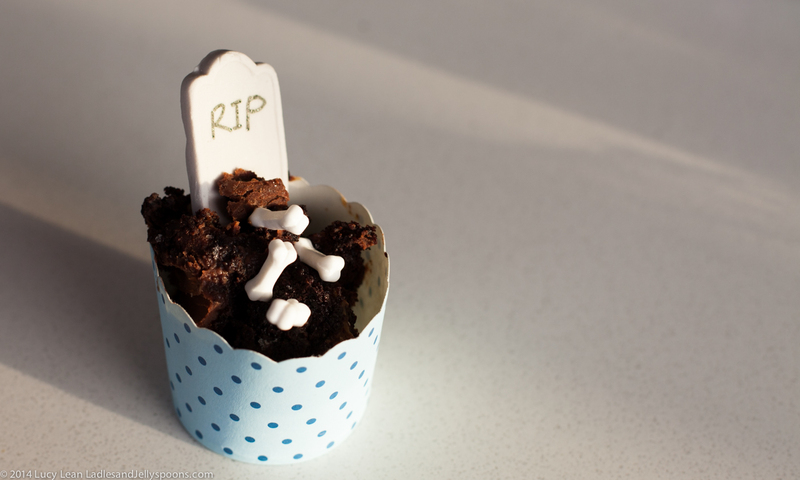 Next up 40 mummy dogs to take to Hedy’s party, along with the cakes – did I say how much I love Halloween?